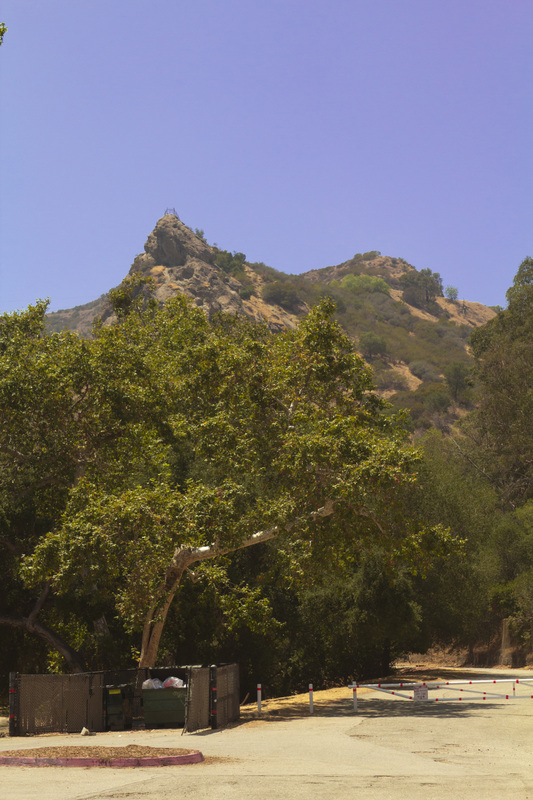 A picnic in the Old Zoo area of Griffith Park is not complete without a hike to Bee Rock, a honeycombed sandstone outcropping overlooking the Old Zoo, Shane's Inspiration Playground and the Carousel. This is a popular trail for families and beginners despite the steepness in the latter part of the trail. Those who brave the short trip to the summit are rewarded with grand views of the San Gabriel Mountains in the distance and the dizzying experience of walking out onto the rock to stare over the edge of the precipice. 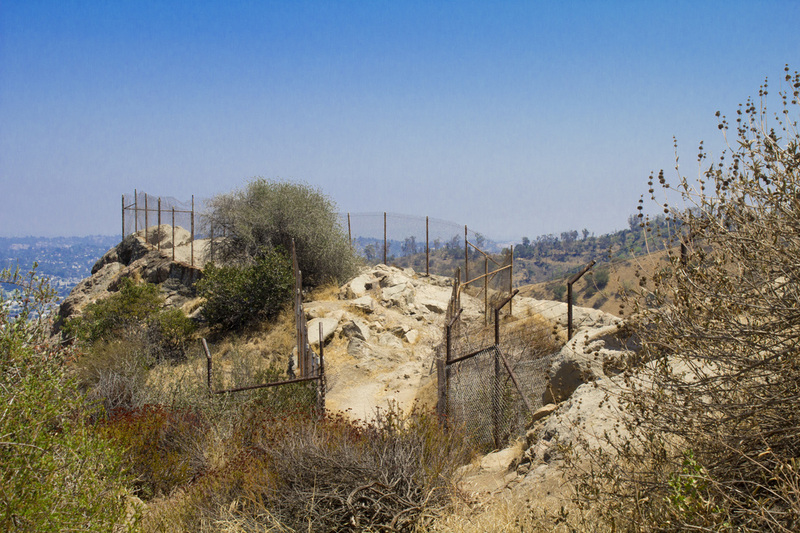 A tall chain link fence has been installed around the perimeter of the rock to prevent anyone from slipping over the side. Exit the 5 at Los Feliz Blvd and head west approximately .2 mile. Turn right onto Crystal Springs Drive at the entrance to the park and proceed 1.5 miles. You will pass through 2 stop signs. At the third stop sign, turn left onto Griffith Park Drive and proceed for .2 mile. Make a slight left turn into the Old Zoo/Shane's Inspiration Parking Area. Additional parking is located near the Carousel. 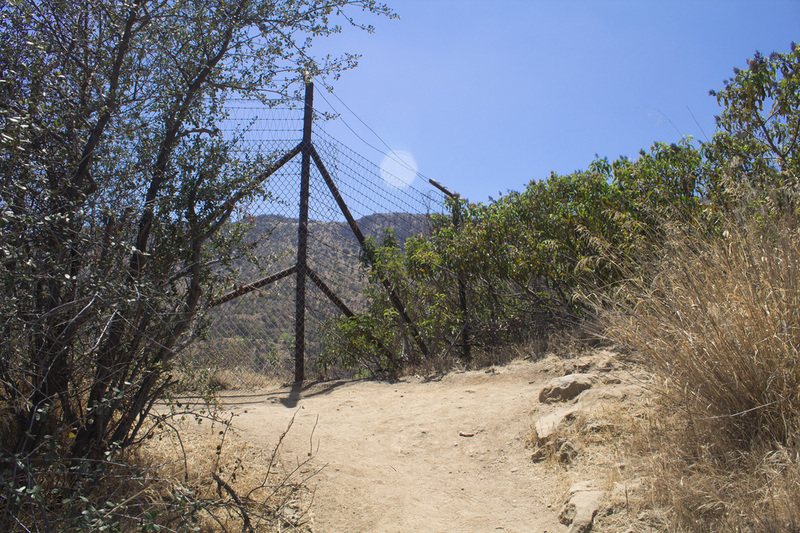 Trailhead is approximately .1 mile west of Griffith Park Drive in the main parking area. Park in the Old Zoo/Shane's Inspiration lot off Griffith Park Drive. There is additional parking down the short drive to the trailhead. parking is available in the Carousel lots off Crystal Springs Drive. pedestrian pass-through gate in the chain link fence on your right. intersection of 3 dirt fire roads. in front of you. Take the center trail. another trail more or less continuing straight. You may take either. rock steps. 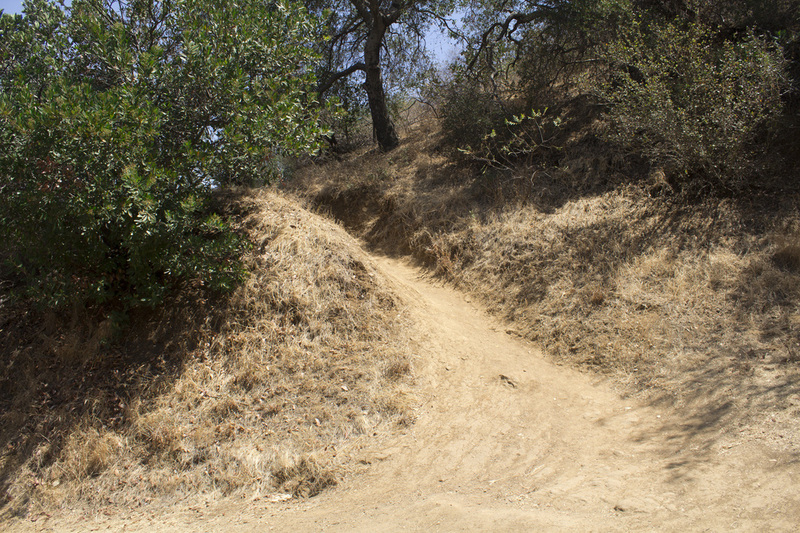 The switchback is a little more level and an easier walk. 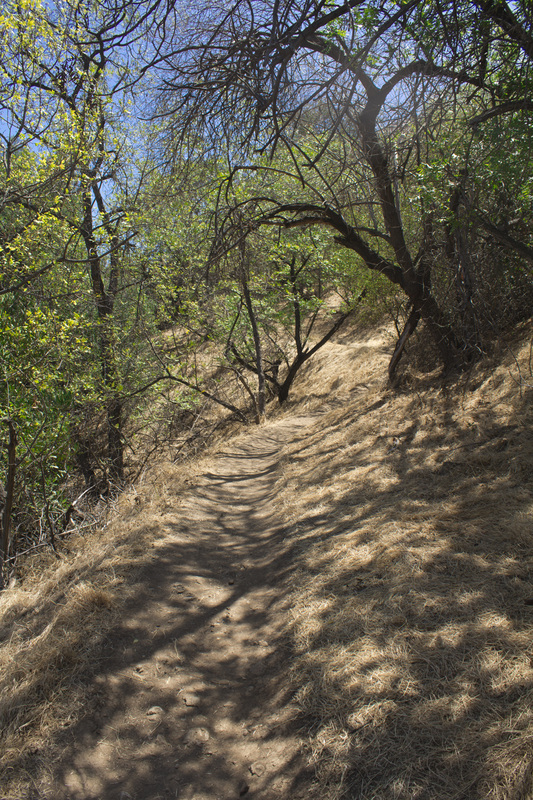 You will find numerous trail junctions leading up to Bee Rock. moving uphill. They all come out at the same spot. 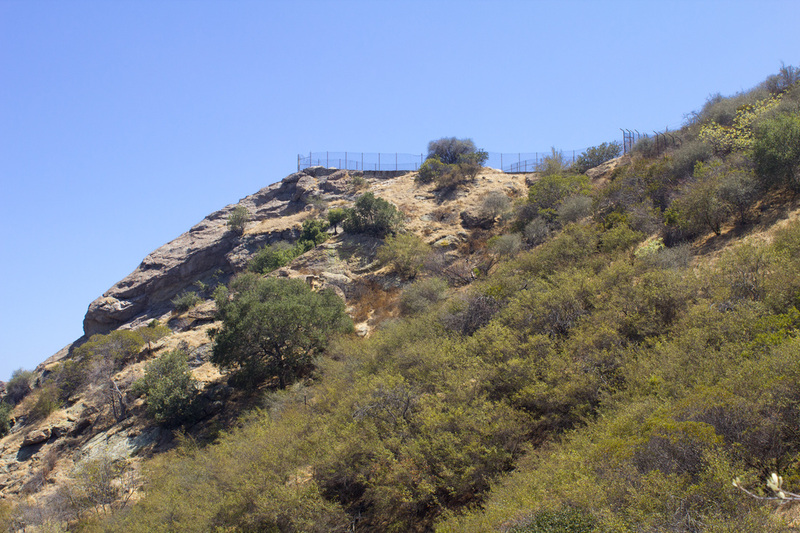 As you near the top, you will reach an old black chain link fence.